University Centre Weston (UCW) students approve of how the institution delivers higher education, according to the results of this year’s National Student Survey. Students awarded UCW a score of 88 per cent in the category of ‘overall satisfaction’; above the average of 86 per cent for all of the university-level education providers in Britain. The figure represents the third year in a row that UCW, which delivers its degrees in partnership with Bath Spa University and UWE Bristol, has improved its score in this key benchmark. UCW is also in the top 25 per cent of higher education institutions in Britain for its ratings in the categories of ‘assessment and feedback’, ‘academic support’ and ‘personal development’. Its Applied Computing, Business with Management, Early Years, Music Production and Musical Theatre foundation degrees received overall satisfaction scores of 100 per cent. 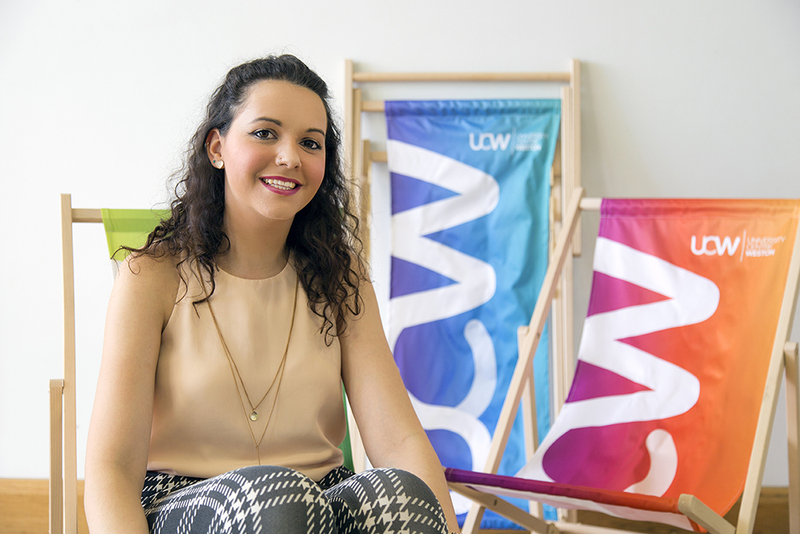 UCW student Becca Arlington, pictured, said: “I am not surprised that University Centre Weston’s National Student Survey results are so high as I have loved my time here and have seen UCW go from strength to strength. More than 300,000 final-year UK undergraduates responded to this year’s National Student Survey, which is conducted by independent research company Ipsos MORI. UCW still has a limited number of places available on its more than 35 foundation and top-up degrees starting this September.